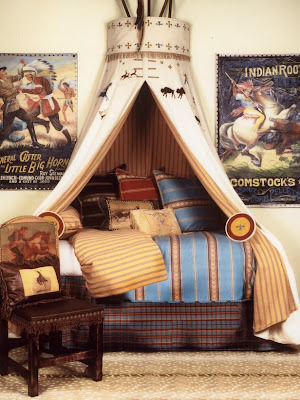 This colorful bed brightens up the room while complementing the theme with muted sky blues and sunset golds. 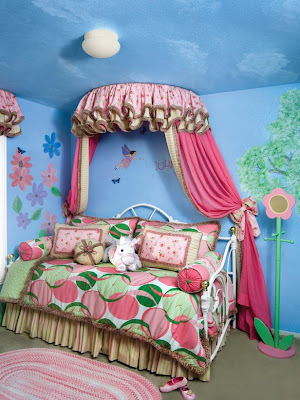 With its fun femininity, this room is sure to delight any little girl who loves stories of faraway lands and happy endings. 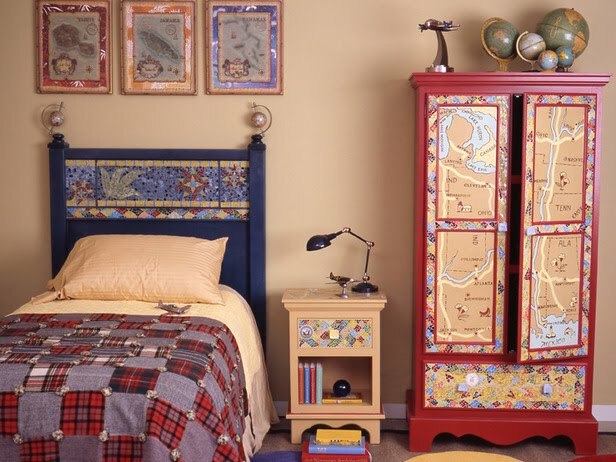 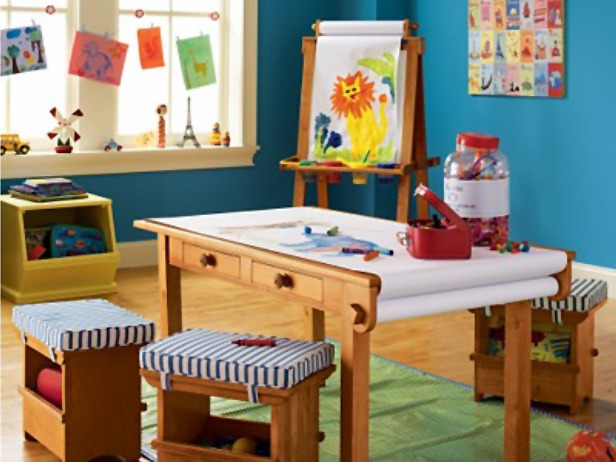 This global theme room can help children learn about the world beyond their home. This room can grow with any child.